Robeson Community College is a tax-assisted, two-year public institution. 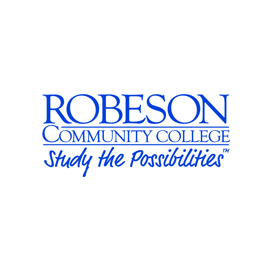 Robeson Community College is accredited by the Southern Association of Colleges and Schools Commission on Colleges to award the associate degree. Contact the Commission on Colleges at 1866 Southern Lane, Decatur, Georgia 30033-4097 or call 404-679-4500 for questions about the accreditation of Robeson Community College. Most programs offered by the College have been approved for the enrollment of eligible veterans. RCC is also accredited by the North Carolina Board of Nursing, Commission on Accreditation of Health Science Education Programs, the Commission on Accreditation for Respiratory Care, Accreditation Review Committee on Education in Surgical Technology, National Association for the Education of Young Children and Joint Review Committee on Education in Radiologic Technology.